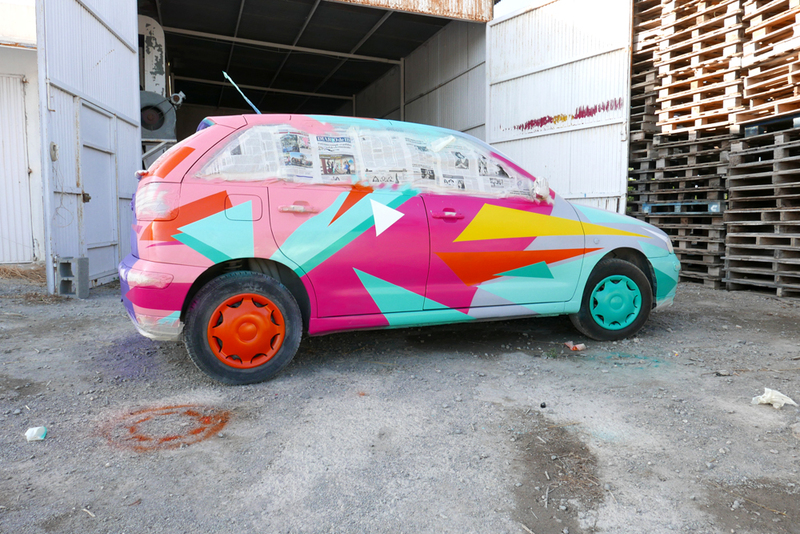 Ibiza, a Spanish island surrounded by beautiful beaches and amazing sunsets, there is where this art car project was born. It all started with Christian (the creator of this multi-service agency) and his 1997 Citroen Saxo after arriving from Italy by himself in 2003. This car was Christian's best friend. They went everywhere, and sometimes he even slept in it by the seaside. It ever gave him any problems, so Christian decided to jump into this new project by investing in simple but reliable cars similar to his dear Citroen Saxo, and offer a renting car service to Ibiza's visitors. 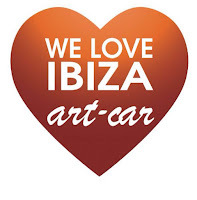 "Only dead fishes swim with the current, and we are not afraid of going against the tide and having an anti consumerism footprint"
Adding a touch of art, he created the “we-love-ibiza” art car style! A unique and special car renting in Ibiza. This is where Bali Green, together with Amaia Arrazola, Lauro Samblás & Txemy became part of this project. These art cars had to be different, colourful, unique, fresh, give that HAPPY feeling to everyone who saw them in the streets. Amaia, Lauro and Txemy totally knew how to transfer their art to these cars, giving them their identity and unique touch. It was not only work obviously, we spent amazing 5 days with Christian and Euge, working hard but also enjoying the island, walking around the beautiful streets, swimming in amazing beaches and watching sunsets that left us speechless... It was a great experience!!! An soon... the finished art cars!! Some sketching by Amaia Arrazola. Enjoying a sunset with Euge. Euge walked us around Ibiza's most beautiful places.